Enjoy a range of recreational amenities, including a health club, an indoor pool, and a sauna. Additional features at this hotel include complimentary wireless Internet access, gift shops/newsstands, and a banquet hall. Stay in one of 200 guestrooms featuring flat-screen televisions. Complimentary wireless Internet access keeps you connected, and cable programming is available for your entertainment. Bathrooms have shower/tub combinations and hair dryers. Conveniences include coffee/tea makers and irons/ironing boards, as well as phones with free local calls. Be sure to enjoy recreational amenities, including a spa tub, a sauna, and a fitness center. Additional features at this hotel include complimentary wireless Internet access, gift shops/newsstands, and wedding services. With a stay at Chateau Bedford, Trademark Collection by Wyndham in Halifax, you'll be within a 15-minute drive of Bayers Lake Business Park and Halifax Shopping Centre. 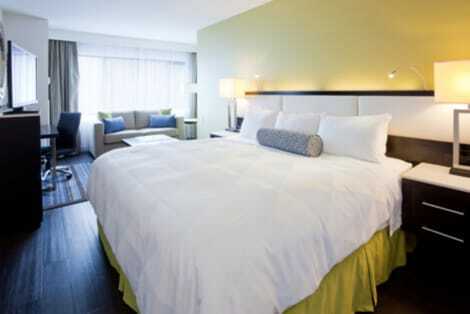 This 4-star hotel is 6.8 mi (11 km) from Halifax Waterfront Boardwalk and 8 mi (12.9 km) from Dartmouth Crossing. Featured amenities include a 24-hour business center, complimentary newspapers in the lobby, and dry cleaning/laundry services. Planning an event in Halifax? 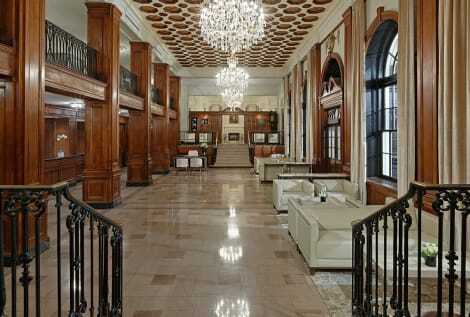 This hotel has facilities measuring 3000 square feet (279 square meters), including a conference center. Free self parking is available onsite. A stay at The Lord Nelson Hotel & Suites places you in the heart of Halifax, within a 15-minute walk of Halifax Waterfront Boardwalk and Neptune Theatre. 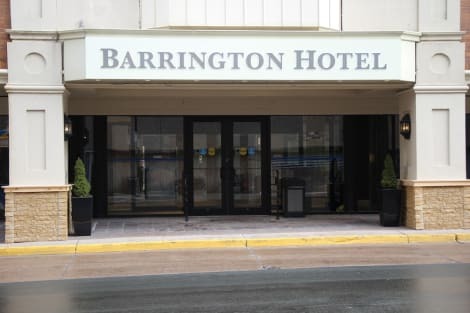 This 4.5-star hotel is 0.5 mi (0.8 km) from Scotiabank Centre and 7.2 mi (11.5 km) from Dartmouth Crossing. Grab a bite from the grocery/convenience store serving guests of Holiday Inn Express & Suites Halifax - Bedford. A complimentary buffet breakfast is served daily from 6:30 AM to 9:30 AM. Feel welcome the moment you check-in at The Hollis Halifax - a DoubleTree Suites by Hilton Hotel with a warm, chocolate chip cookie. Enjoy a fantastic location in downtown Halifax; within walking distance of the historic waterfront and many restaurants, bars, shops, museums and popular attractions. Stroll along the boardwalk and visit the Art Gallery of Nova Scotia in the heart of downtown. Try your luck in the games room at Casino Nova Scotia or attend a performance at Neptune Theatre. Halifax Stanfield International Airport is just 35 minutes' away and guests can enjoy easy access to Highway 102 and the Circumferential Highway 118.All of the comfortable suites at this contemporary Halifax hotel offer an abundance of space and many of our suites offer beautiful views of Halifax Harbour. Enjoy modern amenities including a 42-inch HDTV, complimentary WiFi, a wet bar, a microwave, a mini-refrigerator and a stylish bathroom with rain shower.Boasting over 3,000 sq.ft. meeting space, including two ballrooms and an executive boardroom, a complimentary business center, contemporary A/V equipment and innovative onsite catering; this downtown Halifax hotel is ideal for successful corporate events and spectacular weddings. Work out in the complimentary fitness center or unwind after a busy day in the sparking indoor swimming pool or whirlpool. The relaxed atmosphere of 'FAX Bar is the perfect place to enjoy a cocktail before dinner, or an evening out in downtown Halifax. Enjoy fresh seafood and premium beef, cooked-to-order, at the award-winning Ryan Duffy's Steak & Seafood Restaurant. Set next to the world's second-largest ice-free harbour, the Canadian city of Halifax is a modern and thriving destination known for its excellent bars and restaurants, independent shops, flourishing cultural scene and student community. If you're planning to visit the capital of Nova Scotia then be sure to take a look at our range of Halifax hotels, all of which will ensure you're ideally placed to make the best of everything this city has to offer. With so much to do in and around Halifax you're sure to be planning your next visit before you've left. A good place to get started and learn about the city's rich history is by visiting the Maritime Museum of the Atlantic, followed by a relaxing walk along Halifax Waterfront. The Canadian Museum of Immigration at Pier 21 is nearby and also offers a fascinating insight into how migration has helped shape the city and the country as a whole. Take a walk to see the Halifax Citadel, a former military fort built by the British that stood guard above the city to protect the harbour and surrounding area from attack. Art Gallery of Nova Scotia is a must-see for art lovers, being the largest art museum in Atlantic Canada. Stretch your legs afterwards with a walk through Halifax Public Gardens, or take in the sea air with a ferry ride between Halifax and Dartmouth aboard the oldest running saltwater ferry service in North America. Large malls through to boutique outlets can all be found in Halifax, the largest shopping destination in Atlantic Canada. Head to Spring Garden Road to find hundreds of retailers, from major brands to artisan producers and speciality shops. Hydrostone Market is another popular retail hub, marketed as "Halifax's European shopping experience". Take a trip across the harbour to reach Alderney Landing on Dartmouth Waterfront. The plaza hosts a farmers' market and craft fair on the weekends and you'll find plenty of independent shops, cafés and restaurants in the surrounding area. Halifax is known for its trendy eateries and for having more pubs and clubs per capita than almost any city in Canada. When it comes to restaurants there's a huge choice on offer with something to suit all tastes. Fresh fish and seafood is understandably a speciality in the city. Chives Canadian Bistro is known for its seasonal and creative menus, while Bramoso Gourmet Pizza takes Italian dining to the next level with its brick fired oven. Stories Restaurant at The Halliburton is highly regarded for its fine dining experience, as is Ryan Duffy's Steak & Seafood located near the Halifax Waterfront.